John Munro, (ca. 1700-bef. 1784) and his sons, Patrick, Daniel and Malcolm. John may have been the immigrant ancestor of all Cape Fear Monroes and these following families descended from his sons. These families were from the area originally comprising Cumberland County, but now in parts of Moore, Hoke, Harnette, Lee and Robeson counties. As the United States grew, these families and their descendants spread westward. Malcolm, and five of his seven children, relocated to Talladega (now Clay) County, Alabama in 1842. Many descendants live there today. Following the Civil War, other parts of the family moved on to Texas, with many relatives today in west Texas or the Gulf Coast area. From the available records, John Anthony moved his family to Alabama along with Malcolm, living, for a time, in the same community. He later moved on to Louisiana, where much of his family is today. We have a small e-mail group sharing research on the Monroes in North Carolina. Our goal is to find the common ancestor among the various Monroe in the early history of the area. We trade research, ideas, information, and, sometimes, just chat. To subscribe to the mail server, send an e-mail to Monroe-Surname-NC-L-requests@RootsWeb.com Type the word SUBSCRIBE in the subject line of the message. The Monroe Genealogy Research Group in front of Malcolm Munroe's 1772 house. 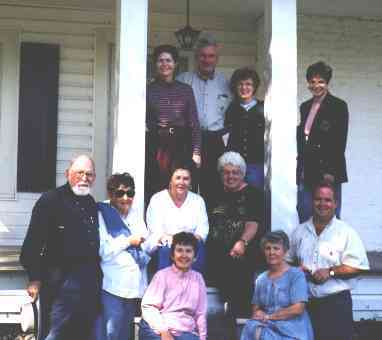 Group members traveled from Alabama, Louisiana, Texas and Virginia for a trip to "Monroe Country" in October, 1998. Pictured are: (l-r seated) Onieda Monroe and Jan Monroe; (second row) Jim Monroe, Florence M. Johnson, Betty M. Bailey, Sybil Bolton, Rick Monroe; (standing) Margaret Bardin, Coy Bolton, Elaine M. Nagle and DeAnn M. Steely. The spelling of the family name is basically interchangable. "Munro" is the original Scottish spelling and is found only in the earliest, 18th-century records. "Munroe" was the predominate spelling prior to this century. In fact, in the family bible, my great-grandparents entered the name of each new child spelling the name "Munroe" until about 1890, when, with no apparent reason, began using the "Monroe" spelling. Currently, most of the family in North Carolina spells the name "Monroe," although some, especially in Alabama and Texas, use "Munroe." I have tried to spell the name as the person spelled it themself or as it appeared in a record. But simply because I spell my name "Monroe," that is the ususal spelling here. 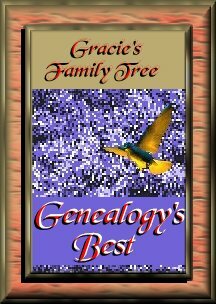 Please click on the "Other Family Lines" link to check out the other branches of the family I am researching. They include Adcock, Brittain, Carter, Chaires, Covington, Deaton, Morris, Seawell, Thomas, and Ussery, to list a few of my more active branches. I've recently began looking into my wife's ancestors, who are typically more recent, eastern European immigrants. Some of her family lines include Callner, Goldberg, Golden, Miller, Perlstein, Wessel/Weselnitzky, Wetstein, and Yellin. I welcome your comments, input and suggestions. And we will understand only what we are taught. This page was last updated on 11/18/00. its individual character and beauty. In no way are they to be considered flaws or defects. Copyright 1988, 1995-2000, Donald R. Monroe. All rights reserved. Permission is hearby granted for one-time use by individuals conducting genealogical research. Commercial use is strictly prohibited.